번역은 기계적으로 언어를 치환하는 작업이 아닙니다. 텍스트에 담겨 있는 메시지를 최대한 온전하게 다른 언어권의 독자에게 전달하는 일입니다. 서울셀렉션은 도착어의 원어민 번역가가 가장 자연스럽고 세련된 방식으로 메시지를 전달할 수 있다는 신념 하에 원어민 번역을 제공하고 있으며, 원어민과 한국인으로 구성된 감수진이 완성도와 정확성을 책임집니다. 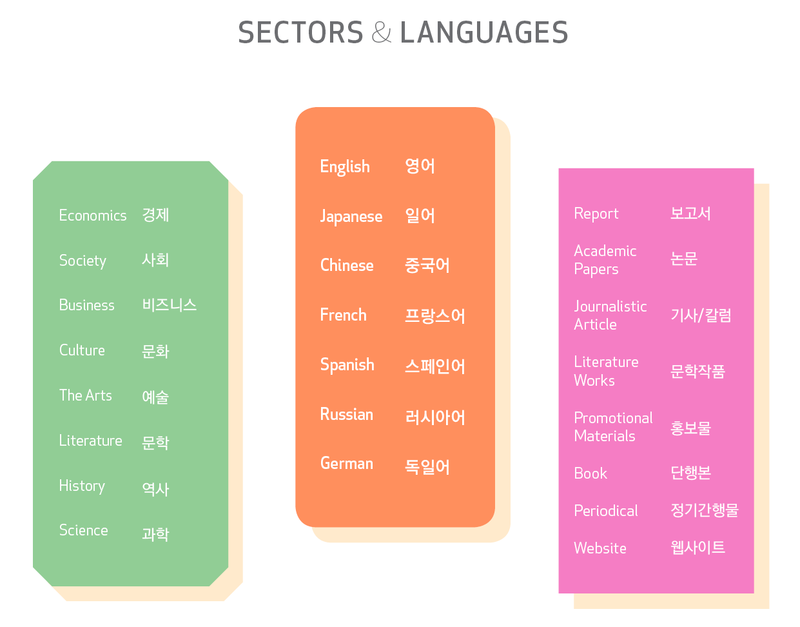 Translation is about more than just mechanically replacing one language with another. It’s about taking the essence of a text and delivering it, as pure and whole as possible, to a reader of a different language. 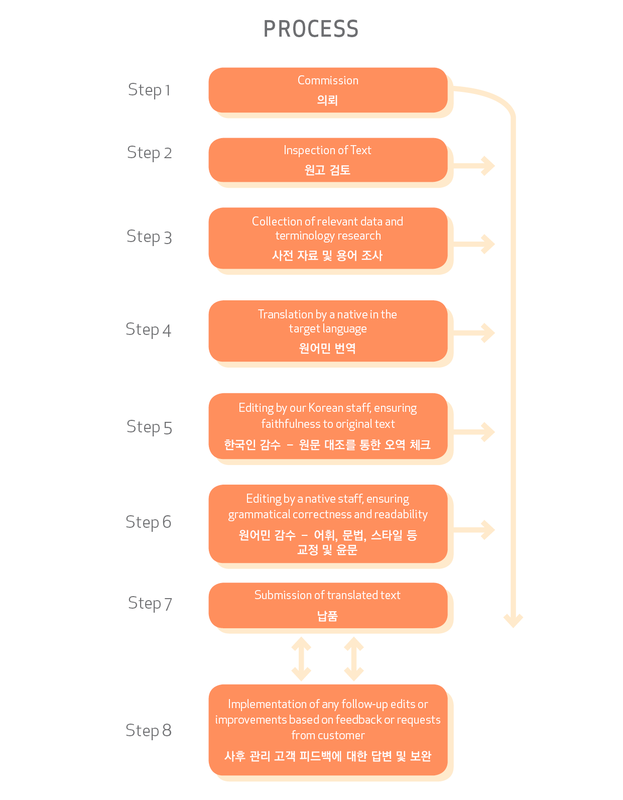 As natives in the target language can deliver a text’s message in the most natural and sophisticated manner possible, Seoul Selection employs native translators who collaborate with our editing staff of both Koreans and natives, thereby ensuring high levels of precision and literary quality.